This lightweight, small bead, eyeglass chain is perfect for that person who could benefit from having something to hold their glasses, yet does not want it to be a focal point or statement. 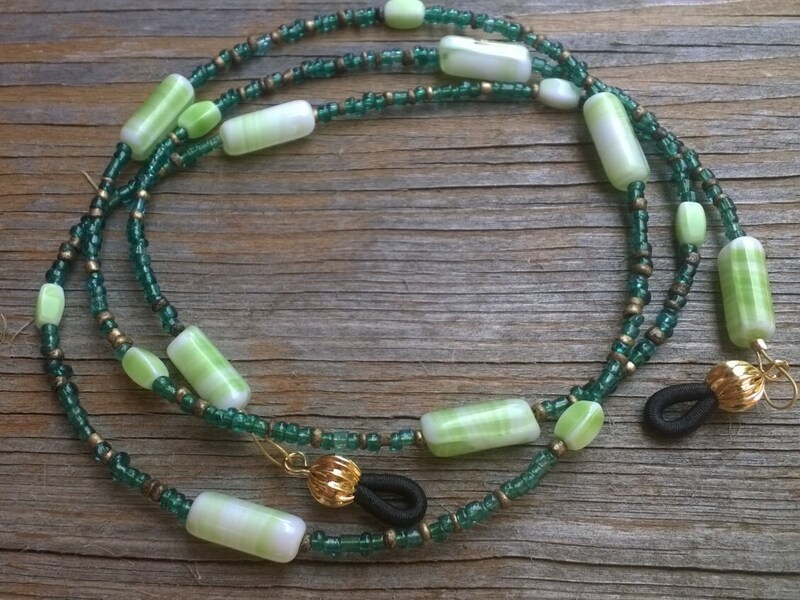 I made this using tiny transparent green seed beads, and a few vintage German pressed glass beads (green & white), to give it a little pop without being the slightest bit overwhelming. If you are that person who recognizes how useful eyeglass chains are, and want them more for their practicality than as an accessory - then this one may be for you! *Makes a great gift for Mom or Grandma because it is so light in weight. This chain measures approximately 29 inches long. 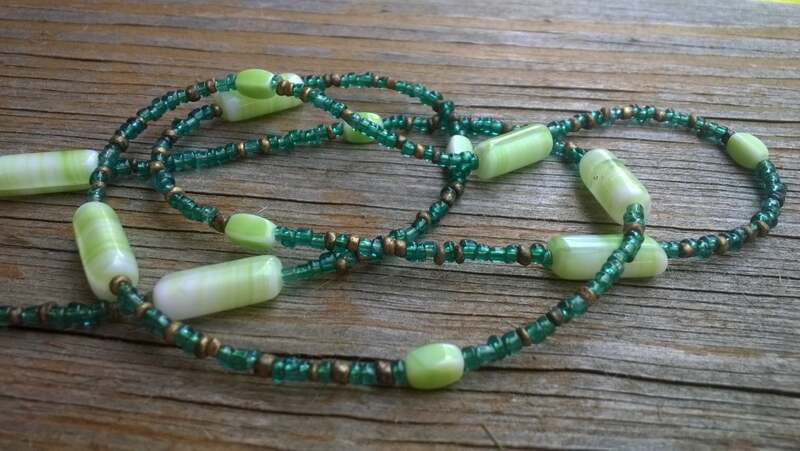 Very pretty shades of green beads! Great for summer. sparkle and shimmer. Very fast shipping. I'm very happy with my purchases and care that you took in boxing each item separately. Thank you! !